The Law Offices of Suizi Lin understand what our clients injured in bike accidents are experiencing, strengthening our determination to obtain compensation for their injuries and expenses. If you have been injured in a bicycle accident, contact our law firm to learn if you have a case. Bicyclists, even when wearing helmets, are extremely vulnerable to injury. When a bike is hit by a car, the injuries can be devastating. Bike accidents can result in brain injury, spinal cord injury, and death. The high cost of care in these situations, coupled with life changing injuries suffered by the victim, make it critical to have an attorney with the knowledge, resources, and experience to build a strong case for compensation in a bike accident caused by negligence or misconduct. Our bike injury cases have involved public safety and road maintenance matters in which the defendant was a government entity. Most of our bike-riding clients, however, were injured due to negligent behavior by the driver of a car. 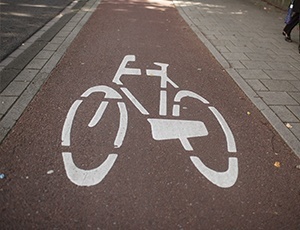 Common causes of bike-car accidents include the car moving into the bike lane to make a turn, opening a car door into the path of a bicyclist, and other accidents caused by not seeing the bicycle. Bicyclists injured by a motor vehicle or because of poor road and bike lane maintenance should contact an attorney who knows the bicycling community in Northern California. At The Law Offices of Suizi Lin, our lawyers have been involved in the local bike scene, providing legal services to injured riders. We serve the entire Northern California community, including Alameda, Berkeley, Danville, Dublin, Fremont, Hayward, Livermore, Martinez, Oakland, San Leandro, San Lorenzo, San Francisco, Oakland, Pleasanton and Walnut Creek.